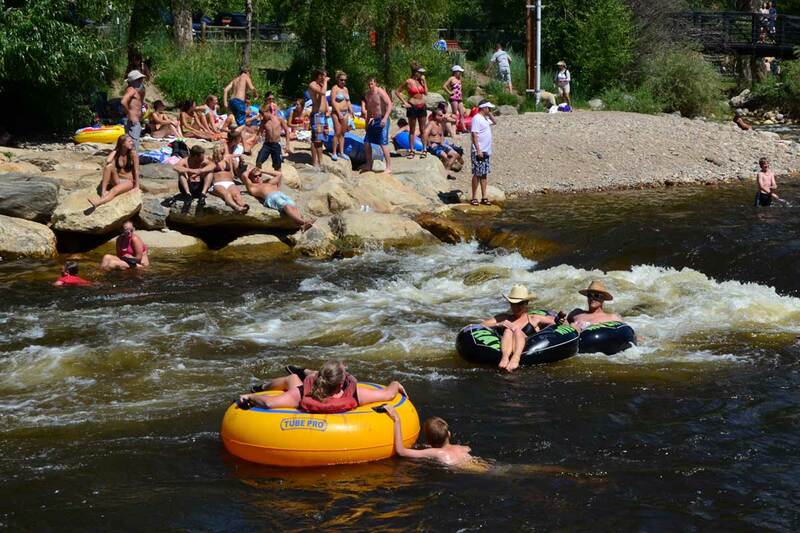 Tubing the Yampa River through town is a must-do summer activity. Whether you're a family, a couple, or vacationing with your friends, this is a special Steamboat summertime treat too great to pass up! Conveniently located tubing outfitters can provide everything you need for your adventure on the river including rental tubes, life jackets ... and, importantly, shuttle service. The Yampa River meanders through the heart of Steamboat Springs. Once the rapid flows of the spring melt-off have subsided and the water has had a chance to warm up, the river becomes a fun venue for a few hours of floating on a lazy afternoon. There are several points along the river to 'put-in' or 'take-out,' so you can make your float trip as short or long as you like. There are plenty of riverside stops along the way including parks, restaurants, and bars. 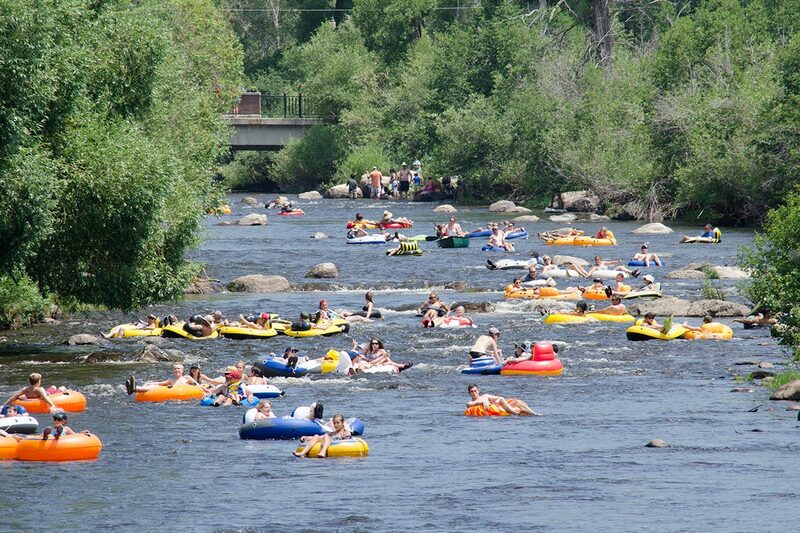 The most convenient method to enjoy your time of the river is to hit up one of the commercial tubing outfitters. These businesses know what it takes to create a memorable day on the river. They’ll have everything you need for your adventure on the river including comfortable, luxury, well-inflated tubes and tube seats, life jackets, dry bags, appropriate footwear, and of course shuttle service. 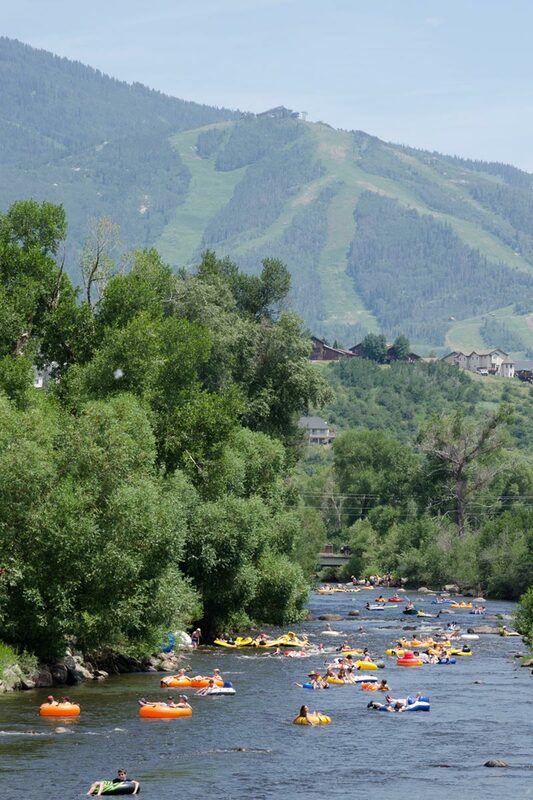 Please be aware, in an effort to keep the river from being overcrowded and to limit the impact on the sensitive ecosystem of the Yampa, the city of Steamboat has instituted a limit on the number of commercial tubers allowed on the river each day, so it’s smart to call and reserve your spot ahead of time. We recommend using a commercial tubing operator for the safest and most reliable journey down the river, however you are allowed to float the river on your own private tubes. Tubes are available to purchase from a number of local retail shops, but make sure you get a good, heavy duty tube to avoid the hassle of a puncture and mid-river deflation. Inflate with an electric pump or stop by a gas station and use their air-pump. Parking is extremely limited at all put-in locations, so it’s recommended you park downtown or at the Stockbridge Transit Center and catch the free bus up to Fetcher Pond or Weiss Park. Just remember where you parked so you can exit the river at the right spot. Check the water levels! Tubing when the river is above 700 cubic feet per second is not safe. Always wear a suitable PFD (portable floatation devise). Appropriate river shoes are a must. Do not wear flip-flops! Be aware that anything you bring with you will get wet, unless you are prepared with a dry bag. Secure any loose items like sunglasses and keys. Respect other river users (tubers, kayakers, anglers). Leave no garbage behind! Everything you come with, you leave with! Do not bring any ALCOHOL, DOGS, or GLASS!